Let’s kick off the biggest shopping season of the year in Jamison Hall at the Factory in Franklin with 40 gorgeous displays of vintage & antique home decor, jewelry, clothing, art, home accessories, vintage Christmas, cooking specialties, holiday gifts, and so much more at the City Farmhouse Holiday Market! The party begins Thursday evening, November 1st from 5 pm to 9 pm with a First Shop of the Market Party! 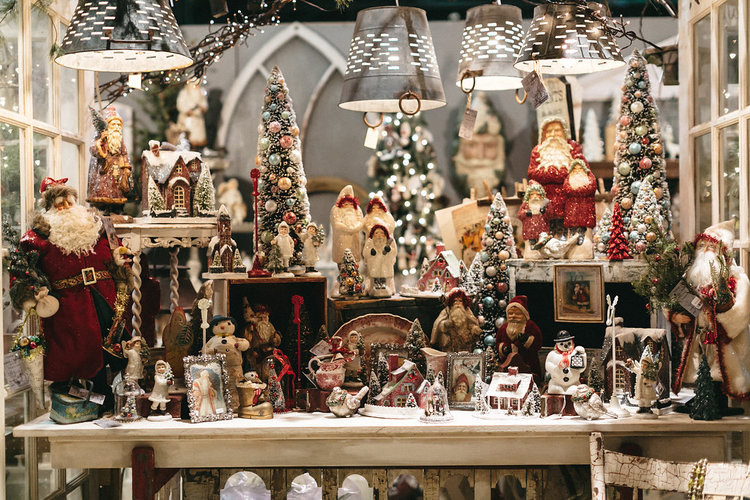 Celebrate & shop with 40 vendors from 14 states in holiday spirit! Munch on charcuterie hors d’ oeuvres, sip wine & mimosas, laugh with friends and enjoy the evening. You’ll get first dibs on the goods (that’s the best part), + back in all weekend with your Party ticket. We’re donating $20.00 of the $35.00 Party ticket to Williamson County CASA! Get your First Shop of the Market Party ticket here and celebrate the season while giving to an amazing cause! General Admission begins Friday, November 2 at 10 am until 5 pm and Saturday, November 3 at 9 am to 4 pm.